As I write this week's post I am distracted by the thoughts of playing games, running demos, and playing more games. Gen Con is only one week away and this is the first time in a while that I won't experience the four greatest days of gaming. At least I have my weekly comics and the new Duck Tales premieres this weekend. 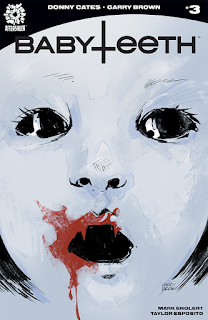 Baby Teeth #3 - Now that Sadie has discovered that her baby has retractable fangs and is interested in blood, she has a bit of predicament on her hands. She figures out that she can't provide the blood herself and needs to find someone willing to help. We meet her aunt, Heather, who has a checkered past. Heather actually proves to be someone that Sadie can confide in, but we learn that the child is picky about what blood he drinks. Who would have imagined that the Antichrist would be so picky. What I love about this book is that it is a horror story, but one that doesn't take itself too serious and one that has heart. I feel that Sadie is going to be a great character and one that will grow tremendously from the scared 16 year old who we have met in these first three issues. 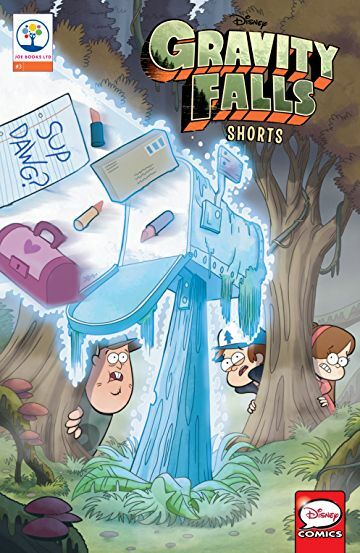 Gravity Falls Shorts #3 - While I would love to see Gravity Falls comics that explore stories that weren't part of the phenomenal television show, I enjoy seeing Gravity Falls comics on the shelf and welcome anything that can bring in new fans. This book features three of the shorts that Disney aired on Youtube between seasons. Featuring Dipper's Guide to the Unexplained #54: The Mailbox, Mable's Guide to Fashion, and Public Access Television, this cinetory comic is a recreation of the hilarious shorts that I watch with my kids on a weekly basis. Captain America #25 - Nick Spence encouraged me to pick up this issue due to its Secret Empire tie- in via a persuasive tweet. I will note, as it says in this book, make sure you read this prior to reading Secret Empire #8. Things are not looking good in the attempt to take down Captain America's Hydra. He is only missing a few of the cosmic cube fragments, but there is hope and Namor has a secret plan. 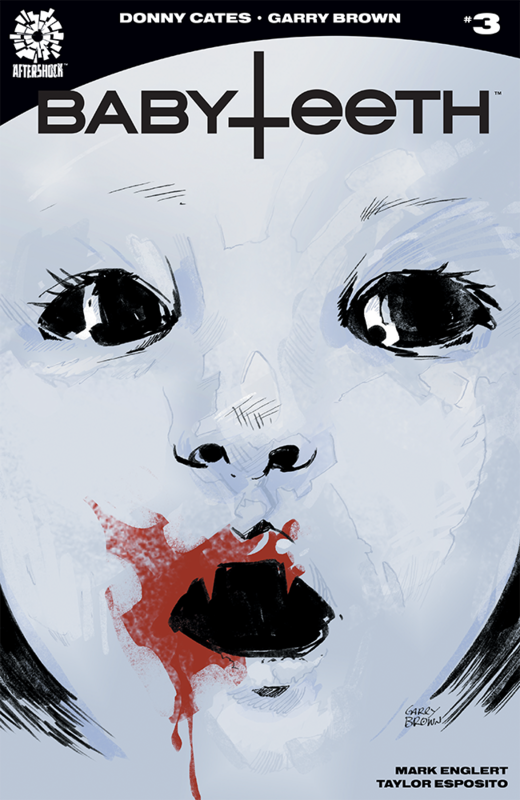 I won't spoil the big reveal, but I am glad that Spencer convinced me to pick this title up this week. Secret Empire #8 - Through the help of a time capsule and the last remaining cosmic cube fragment, the Avengers have a plan to bring down the shield surrounding the earth. Sam's attempt to get the fragment to the shield didn't work, but with the help of the Guardians of the Galaxy the shield is finally taken down and the heroes have one last shred of hope. This, thrown in with Namor's secret weapon that was reveled in Captain America #25, make up the combo that will take down Hydra and restore the Marvel Universe to what it was with no lasting ramifications. While it is typical of most major comic book events, Secret Empire is one of the stronger events of recent memory and one worth your time. 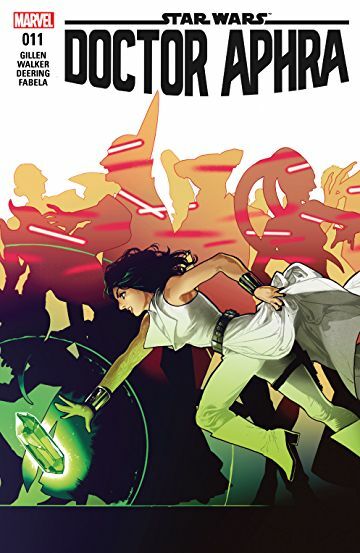 Doctor Aphra #11 - Aphra, now in control of the Rur crystal, was forced to demonstrate that it really did possess the former Jedi Rur in its core. Her demonstration led to Rur possessing a droid and bringing complete and utter chaos. Triple-0, the rogue 3-P0 style droid, beckons Aphra to work out some sort of deal. It isn't clear what Triple-0 wants, but based on the information that he provides her, she will want to start spilling the beans. Otherwise she might end up back with Vader, who she betrayed prior to getting her own series. I really like how they are bringing these series back together.